The sun is a shining force to guide us and light the way. But the moon and the stars, although subtle, also light the way. Stars cannot shine without darkness. In order for a light to shine bright, darkness must also be present. A certain darkness is needed to see the stars. I will love the light for it shows me the way, but I will also endure the darkness because it shows me the stars. The thing dreams are made of. This is a reminder to me to shine “my” light even when I feel darkness. Darkness will devour me if I am afraid of it. I will accept the dark and not be afraid. I will find my light. I may not be being a beaming ray of light today, but because I am alive, there is a spark. And no amount of darkness can put that out. We are each made to experience darkness so we can appreciate light. So today, I will search for the spark. I am not called to shine for others today. I am called to shine my light for me, no matter how small. Because when I see that spark and I fan it with love, I will be able to shine bright for the world. I agree with you. 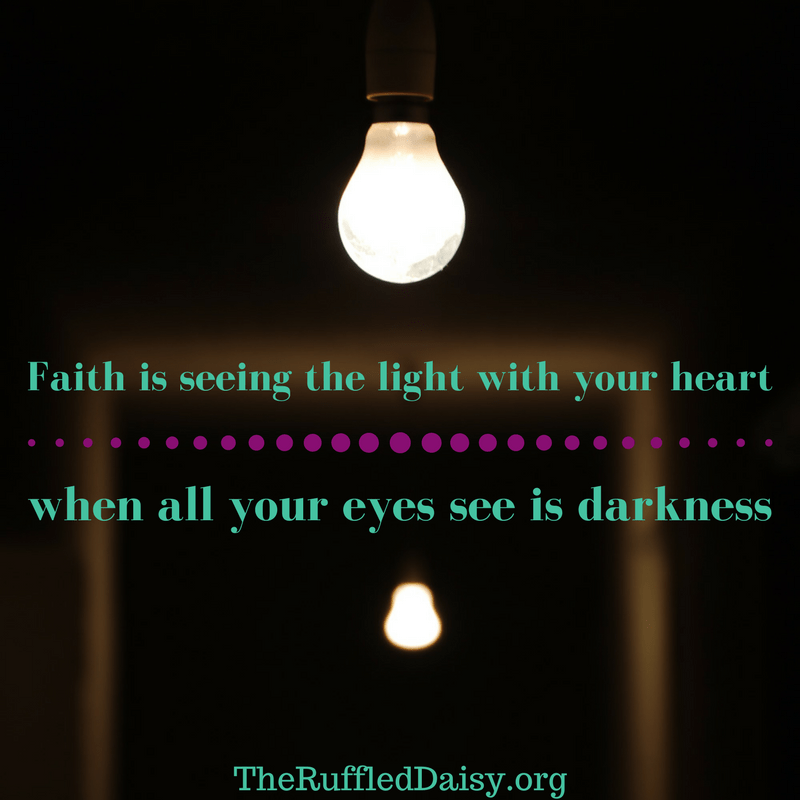 You should shine your light and walk out your faith. This is a beautiful post.